Learn more about the traditional Yoyo game on Yoyo’s Wild Slot at Vegas Spins! It is a 5-reel, 25-payline game by Eyecon. During your gameplay, you cannot help but notice the brightly coloured background. On the reels, you can see Yoyos of different colours together with playing card symbols like A, K, Q, J, 9 and 10. The reels are also enclosed within a frame made up of a Yoyo string. Launch this exceptional slot on a PC, mobile or tablet, only at Vegas Spins! Start your gameplay on Yoyo’s Wild Slot by clicking on the “coins” icon to adjust your bet. Once it is placed, press the Spin button to initiate the reels. Plus, make use of the Auto Play icon to enjoy 10, 20, 50 or 100 rounds played automatically. At any moment, press the Stop button to spin the reels one at a time. Amount of Paylines Selection: The 25 paylines stay active during all spins and cannot be changed. Coin Values: The following bet values are available: £0.01, £0.02, £0.03, £0.04, £0.05, £0.06, £0.08, £0.10, £0.15, £0.20, £0.25, £0.30, £0.40 and £0.50. The Red Yoyo on Yoyo’s Wild Slot is Wild and replaces all symbols in winning combinations, except Scatter. It shows up only during the feature. Look out for the scattered Feature Yoyo’s symbol! It lands only on reels 2, 3 and 4, and helps to activate the Yoyo Trick Feature. Walk the Dog Types 1 - 4: A yoyo drops down from the top of the reels and moves to the right. Around the World: The yoyo makes a circular shape. Two Handed Types 1 and 2: Two yoyos cross diagonally. Rock the Cradle: The yoyo makes a triangular shape. Two or three tricks are randomly chosen and awarded, while the wins accumulate. They are evaluated according to the lines and bets of the triggering round. The Gamble Bonus feature on Yoyo’s Wild Slot pays double or nothing on the last win. If you correctly select one of the 2 given choices, your win is doubled. A wrong selection loses everything. 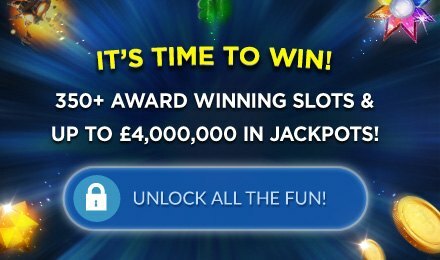 The feature is played until “Take Win” is selected, the next win exceeds £32,000.00, 5 correct selections are made or when a wrong choice is made. Yoyo’s Wild Slot at Vegas Spins is definitely worth a try. Enjoy it along with other great slots. Good luck to you!